The cherry blossom viewing party was a great success, despite getting slightly rained on, but that didn’t stop us! Flowers were viewed, pictures were taken, sake was drunk, and a good time was had by all! 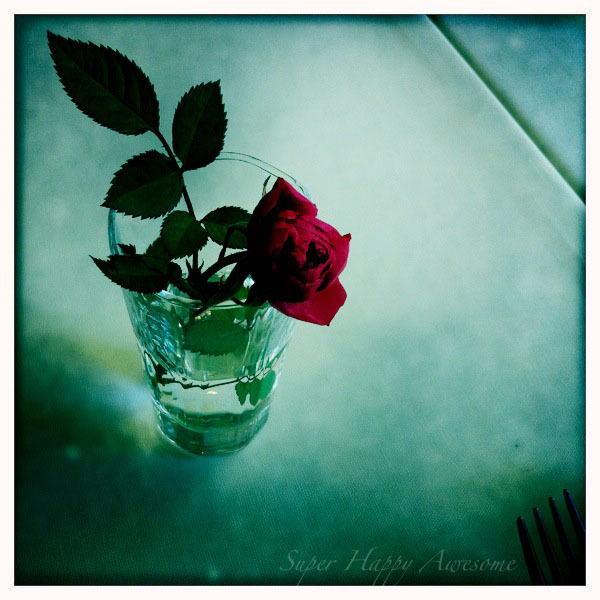 That being said, we’re completely knackered, so today you get a picture of the pretty rose at lunch the other day. Isn’t it pretty? This entry was posted in Photos! and tagged flower, photo, pretty, rose. Bookmark the permalink.